Modern technology and innovations are grasping our lives and making our lives depend on it. But we must do the things that they can do effectively. The popular social media apps and its influence on society are incredible. Kids are skipping their meals and spending most of the time on digital media platforms without realizing and being fully aware. We should educate our young generation the good and bad of social networking application. Social networks are today essential in our connected world. We have compiled a list of the top 10 social media apps around the world. 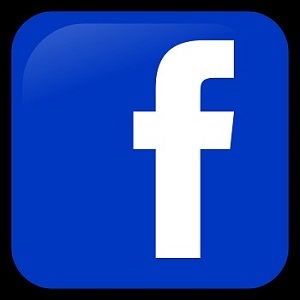 Facebook: Created in 2004 by Harvard student Mark Zuckerberg, Facebook has become the largest social network and the second most visited website in the world. The American company in Menlo Park, California has more than a billion users daily. The great strength of Facebook lies in the diversity of shared content. Twitter: The second largest social network among the popular social media apps in the world, Twitter favors speed and conciseness with messages limited to 140 characters. Ideal to communicate quickly and follow the news in real time. It has 336 million monthly active users worldwide. 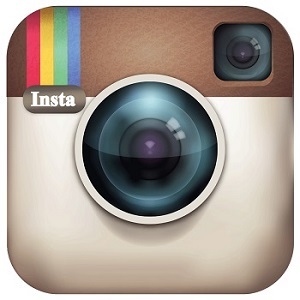 Instagram: Since it appeared, many people are using Instagram, one of the popular social media apps for business. It is a visual platform mainly using videos and images. More than 600 million active users share most of the food, art, travel and fashion photos every minute. 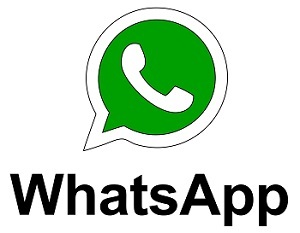 Whatsapp: WhatsApp is the application most popular instant messaging in the world because of the ease of use and the various features offered. It is the social network most used today, as revealed by a survey conducted on the uses and influences that networks have on people's habits. 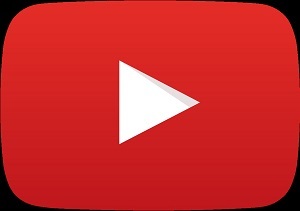 YouTube: YouTube, the largest video sharing platform, could become a social network with status and photos. 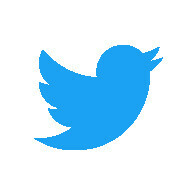 It is now the coolest social network among teenagers. With over a billion users, YouTube is a must-have on the web where subscribers watch millions of hours of content every day. LinkedIn: It is the professional tool number 1. It has about 106 million users worldwide. It allows exposing its course to be spotted by recruiters. 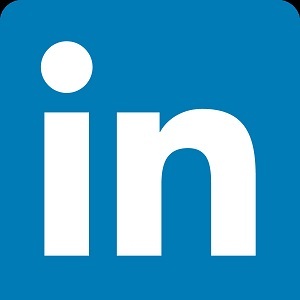 Become essential, LinkedIn has been enriched with several interesting features. 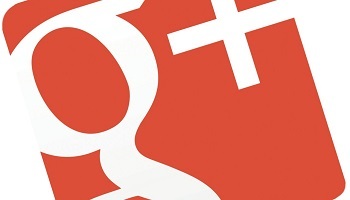 Google+: While it is already shunned by Internet users, everything indicates that Google+ is no longer at the center of concerns of Google. This social network created in 2011 to compete with Facebook will become a "niche" network. It is an elegant way to steer it towards a siding. 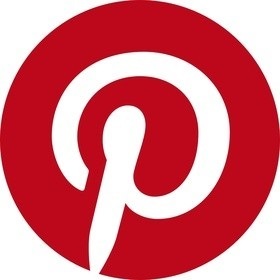 Pinterest: Pinterest is without a doubt a social network based on the sharing of images. The management of this network requires a work of curing content. This is the reason why most users access Pinterest from the desktop where the screen is larger. Tumblr: This small blog site gathers more than 140 million blogs dedicated to practically any topic. The content of Tumblr, which is aimed at those who post images and quick and funny messages, is not as long as that of traditional blogs. According to Tumblr, more than 82 million posts are published every day on the site's blogs. 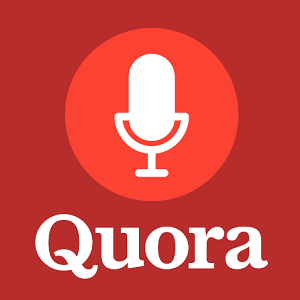 Quora: Quora, one popular social media apps basically consists of a social network of questions and answers, in the style of Yahoo Answer but improved, since a rather efficient system has been built that avoids that there are duplicate questions and maintains the quality of the contents. We hope this list of top 10 social media apps helps you save time in the management of social networks by mechanizing and automating certain processes. Modern technology has undoubtedly endowed the younger generation of contemporary phones, tablets and pads and other devices connected to the internet. They use modern devices and machines to have fun. Cheat chat, deliver text messages, share videos, make calls and so many loving activities to spend quality time, waste time and share their opinions and thoughts remotely with their friends. Children under the age of 13 have their own opinion that if they start receiving a number of notifications, it would be distracting, time-consuming and very hectic to manage. Most of the time it takes them to spend a lot of time on popular social media apps like Facebook, Yahoo, WhatsApp and other platforms. It would then be obvious that they will have health problems such as depression, anxiety, lack of social behavior, aggressive behavior and poor academic performance. Being too much addicted to popular social media apps is very harmful to our teens. It has numerous negative effects. Using parental controls like FamiSafe could be the great solution to get rid of this problem. Those parents who want to protect their children that browse the internet should use the best parental control FamiSafe. It has complete functions of modern operating systems that can track the top 10 social media apps depicted above. To get started, please go to Google Play or App Store to download and install FamiSafe on the devices both of yours and your kid. 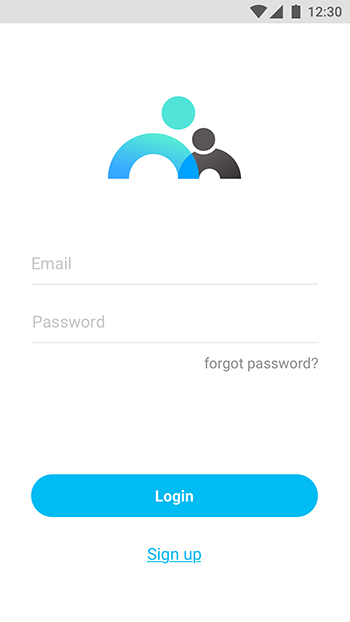 Then register an account in the app. You can register on your phone or on your child's phone. The same account is valid for both devices. Make some settings on any device – could it be yours or your kid’s. 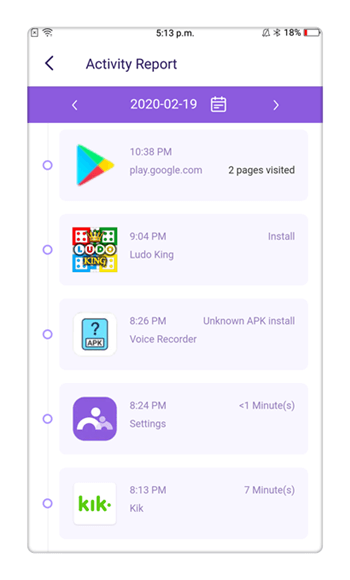 Now, connect and monitor your kid’s device from yours. FamiSafe is the most reliable parental control app for blocking applications that harmful for our teens. At this time, you are able to visit the FamiSafe control-panel remotely from your device. From the dashboard, you can access all its features. You can notice now how much time your teens spend on the popular social media apps. You can start your control now blocking social media apps during a period of time on your child’s device. The FamiSafe can monitor the top 10 social media apps we mentioned earlier. It can monitor the usage of the apps very successfully. It has also more other wonderful features. It is able to track location history of your kids. It can set and monitor geo-fences. 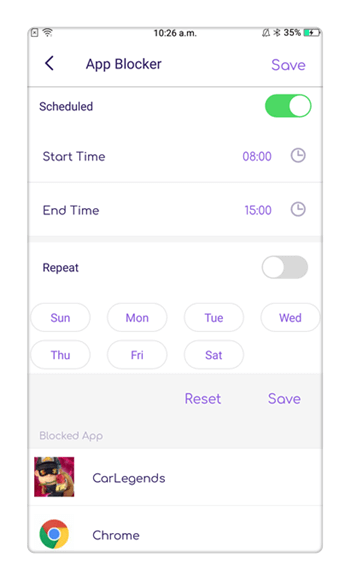 It has the feature "Smart Control Schedule" through which you can limit the screen-time on your kid’s device. Especially in young teenagers, we have seen a heavy infatuation with popular social media apps. They make hour-to-hour text messages, make calls from the morning and until the end of the cell phone battery, call video and some use the internet to get fun. Several studies have begun to investigate the effects of social media on users. By now many psychologists have detected symptoms such as anxiety, stress, and depression in the obsessive use of the top 10 social media apps as we listed above. We must protect our child from the negative consequences of social media using the most leading parental control application FamiSafe. We can download it from the App Store or Google Play without any charges. Let’s start using it!! !